Cancun check, Playa del Carmen check, Tulum check, next stop Guatemala. Wait a minute, don’t you think you’re missing something here? HELLOOOOO, YES! 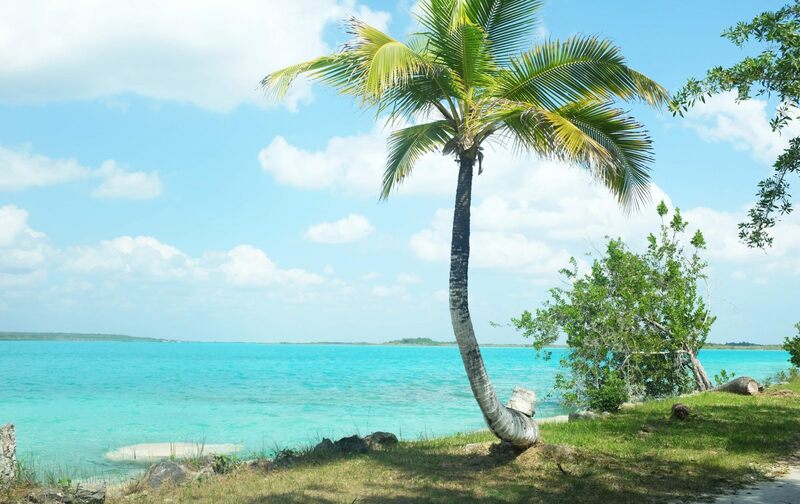 There is one more place you must stop by for a day trip to wilderness and paradise in the Caribbean: Bacalar, Pueblo Mágico. 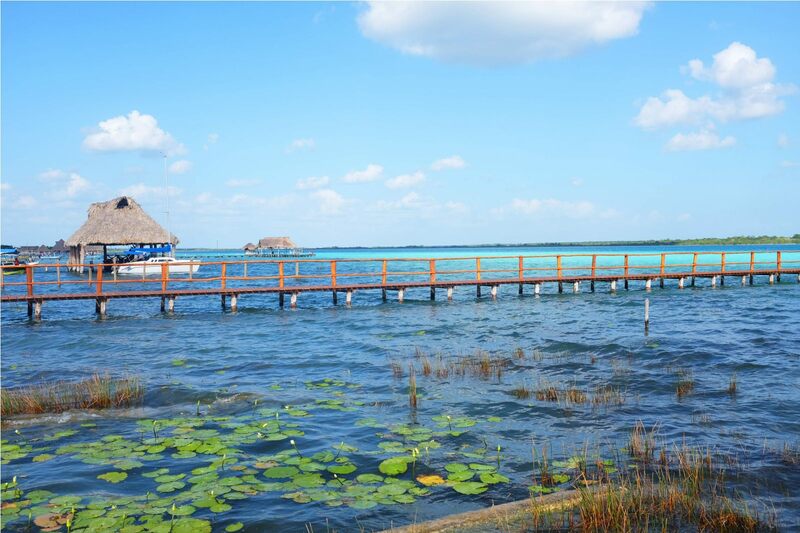 From Tulum or Cancun, book a bus with ADO to drive you to Bacalar. Count 5 hours from Cancun and -2 if you come from Tulum. 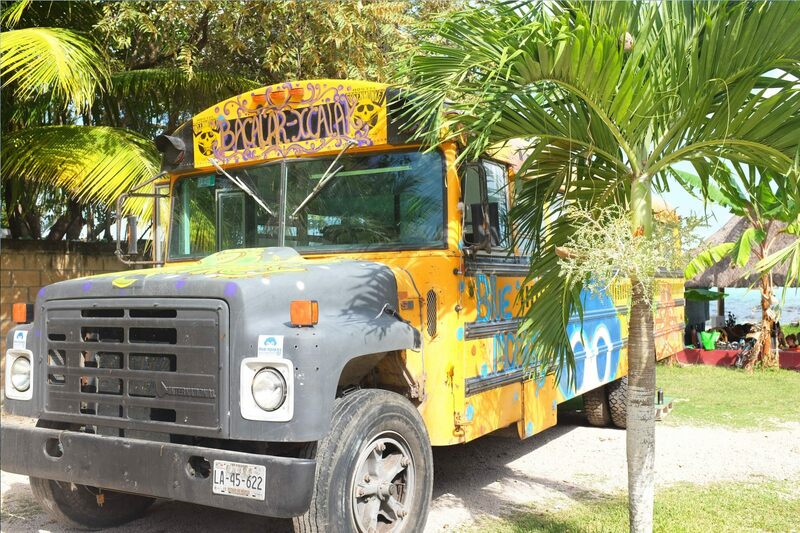 Once you arrive in Chetumal (ADO bus stop) get into a taxi to drive you to Downtown Hostel . It will cost you about $30MX. If you need to head back to the ADO after your stay and leave early morning, call radio taxi from the reception on 285 3272, they will come pick you up within 5 minutes. Ring the bell, someone is coming! If you’re lucky you’ll be welcomed by your host (owner of Downtown Hostel ) Rodrigo. Big smile upon his face, Rodrigo loves travelling and decided to open a hostel to now travel through tourists like us, what am I saying, explorers like us! $100MX one night dorm, FREE breakfast and wifi (super fast broadband), comfy new mattresses, hot showers, lockers, 360 rooftop terrace amazing for sunrise and sunset, common lounge with books, hammocks, Netflix and chill. From Downtown Hostel around the corner you can get on a colectivo for $40MX one way. They run very often from early morning until the evening. Go with Rodrigo, the owner of Downtown Hostel in Chetumal, he will drive you to all the stops listed above plus you are gonna have a good laugh the entire day. Entrance fee is $50MX per person, locals usually spend the day there, quite busy on Sundays. 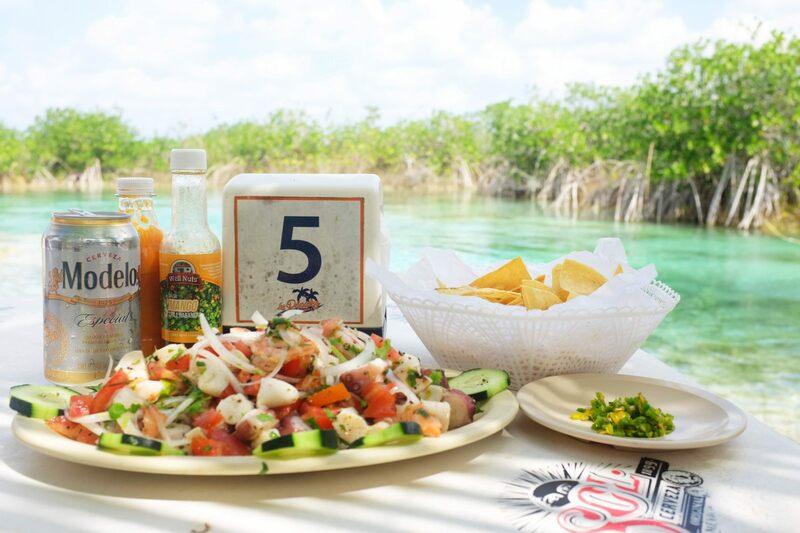 There is a restaurant where you can enjoy a delicious ceviche to share for $250MX. You can ask for a table, hammocks and just enjoy yourself. Swim in the currents from the top until the end it’s lots of fun! 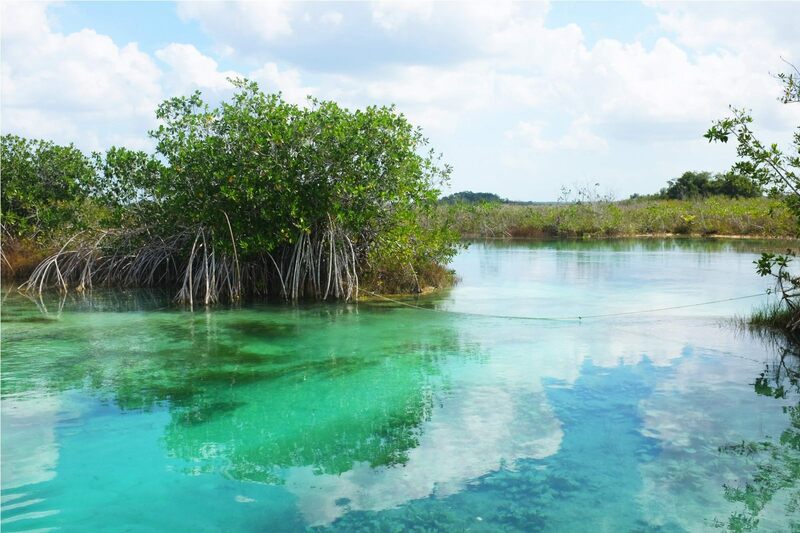 Few meters away, next to Los Rápidos, there is La Laguna, the beautiful lagoon of Bacalar where you can stop for pictures, swim and a drink. Beautiful drive all the way until the end with palm trees, swings and nature. 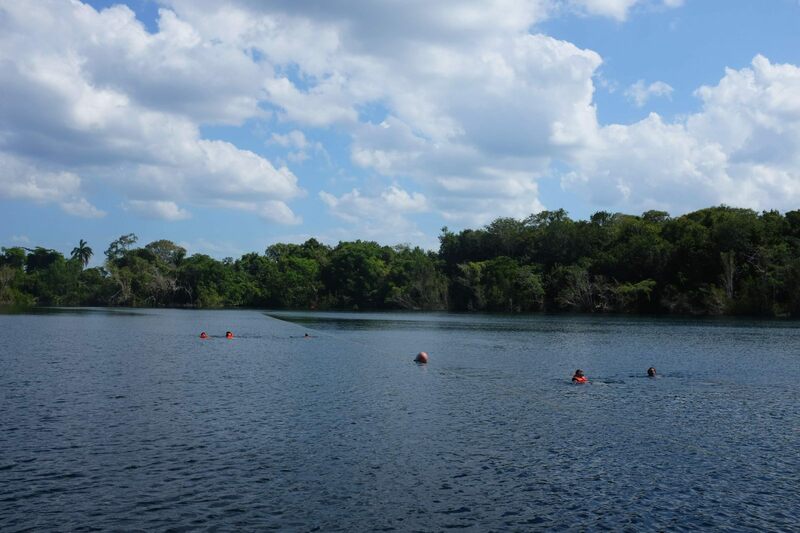 Entrance is $10MX, they have safety jackets, restaurants, viewpoint, wifi and parking.The cenote is 90 meters deep and you can swim around or do labs from beginning to end, total length is 200m one way. You may also encounter fearless kids jumping and diving from the trees! If you’re enjoying Bacalar so much and want to extend your stay by staying at the heart of the lagoon, stay overnight at Green Monkey where the atmosphere is very laid-back and friendly. You’ll have the option to sleep in a convertible bus with mosquito nest, tents or cabañas. 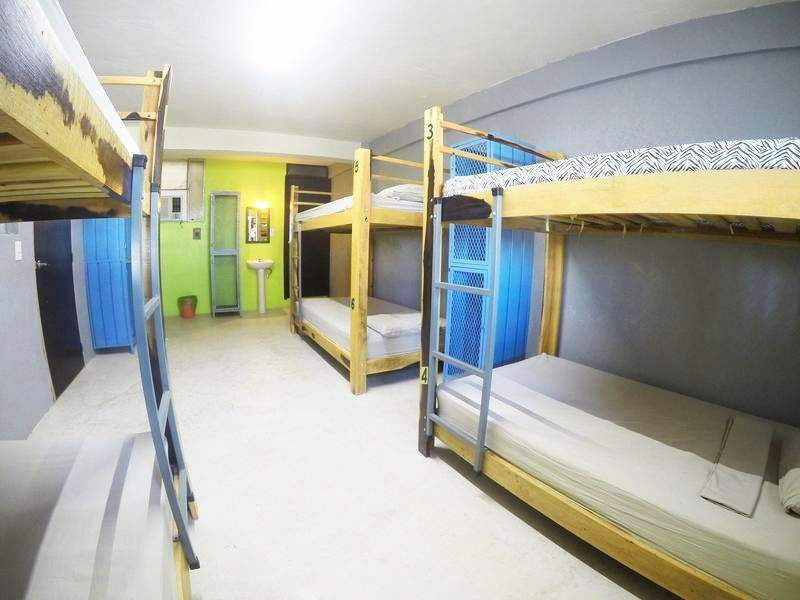 The hostel is located near the Fort, great location to take a collective back to Chetumal whenever you want. Entrance fee is $3MX and it’s only known by locals. 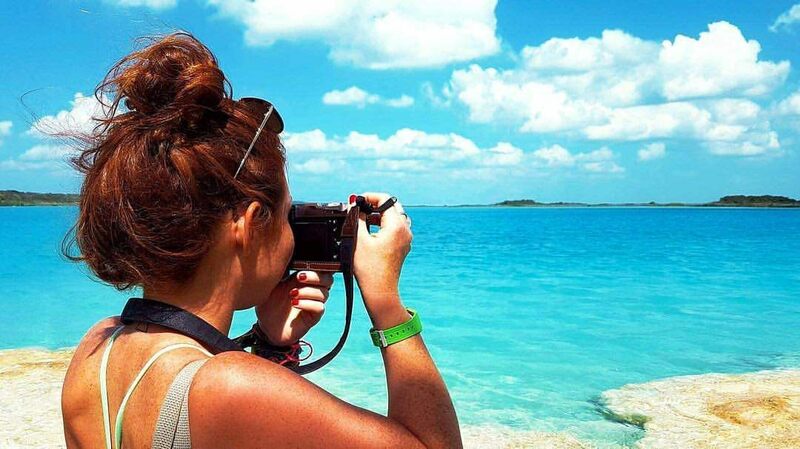 Nothing but the 7 colors lagoon and some sand to rest with a view! Enjoy a rasped (crushed ice drink - don’t try to be too creative with the flavours i.e. tamarindo with chamoy, you may not like the taste!) A good one we tried was Pineapple with Chamoy (spicy powder on top). 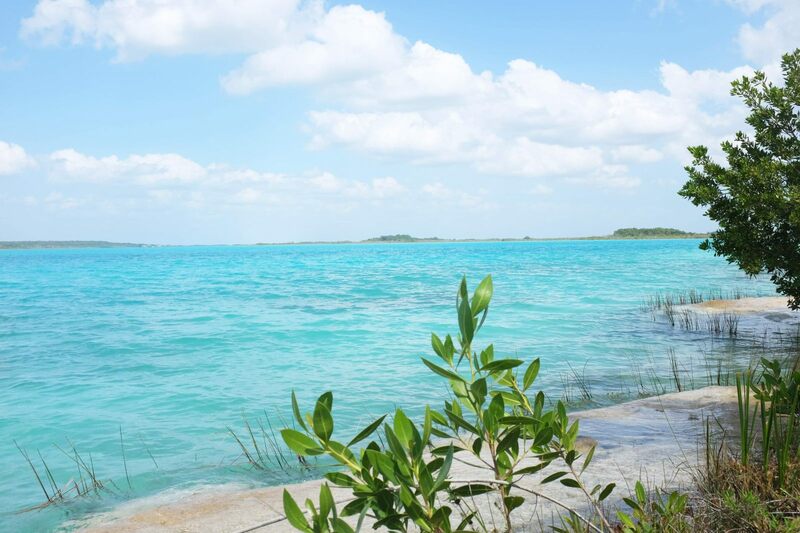 Go swim in the lagoon, or rent a kayak to cross it and see the different layers of colors this lagoon has to offer. You won’t believe how this large lagoon is not the sea but a spring water lagoon.